Studying an LLB at Middlesex you will gain the legal skills and abilities to complete the academic stage of training, and with your qualification, embark on the next stage of vocational training to become a fully qualified solicitor or barrister in England and Wales. You will develop your knowledge and understanding and explore a wide range of legal concepts, values, principles and rules, and be provided with the requisite critical means to become practitioners, innovators and reformers of the legal system and other professional spheres. Why study LLB Law at Middlesex University? An LLB (Honours) Law from Middlesex is recognised by the two main legal professional bodies, the Solicitors Regulation Authority (solicitors) and the Bar Standards Board (barristers) as a Qualifying Law Degree that satisfies the first (or ‘academic’) stage of professional legal education and training. It additionally develops your understanding of the ethical, social, political, economic, cultural and historical contexts within which the law operates, as well as providing skills of legal analysis and an ability to evaluate legal systems and processes. 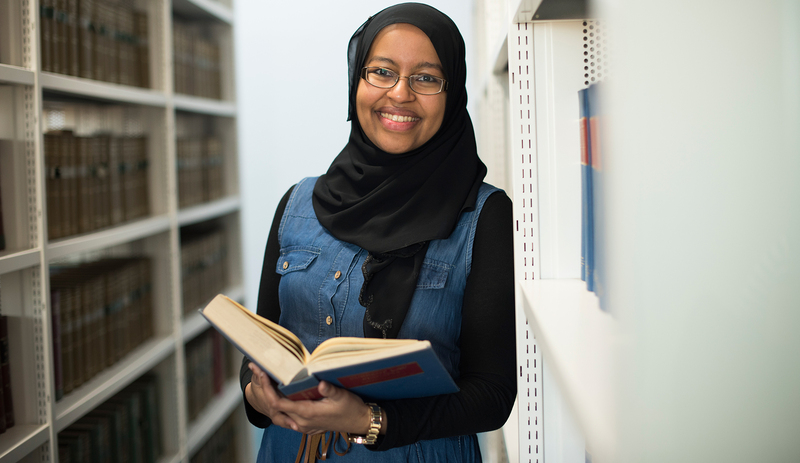 The LLB combines the compulsory ‘Foundations of Legal Knowledge’, a requirement of the legal professional bodies to satisfy the first or academic stage of professional legal education, with optional modules that explore further specific areas of expertise within the law. The seven ‘Foundations of Legal Knowledge’ are: Public Law, the Law of Contract, Tort, EU Law, Criminal Law, Equity and Trusts, and Land Law. These form the core modules of your LLB as a Qualifying Law Degree. Additionally you will choose from a wide range of optional modules to enable you to study specialist areas of legal practice. What will you study on the LLB Law? In Year 1, you will study English Legal System, Legal Method, Public Law, Contract Law. In Year 2 you will study Criminal Law, Tort, EU Law plus one optional module. In Year 3 you will study Land Law, and Equity and Trusts plus two optional modules (if part-time, these modules will be studied over 4 or 6 years). Alongside developing a thorough grounding in the core areas of English law, you will gain the legal skills and academic abilities to embark on the next stage of professional training, with our graduates regularly pursuing the next step of vocational training as a solicitor or barrister. A law degree is also an excellent platform for entering related professions and many of our graduates have successful careers outside of the law, in business, commerce, the public sector, and many other areas. You will develop your knowledge and understanding of primary sources of law such as case law, legislation and other relevant material including examination of how the laws are made and developed, of the institutions within which the law is administered and the personnel who practise law. You will explore a wide range of legal concepts, values, principles and rules, and be provided with the requisite critical means to become practitioners, innovators and reformers of the legal system or other professional spheres. Your cognitive and practical skills will also be expanded and you will gain the ability to identify accurately and analyse legal issues by applying knowledge of legal principles and concepts to complex practical situations, as well as make reasoned judgements based on informed understanding of arguments. You will be able to research and interpret the primary and secondary source material of law and apply the findings to the solution of legal problems, and then evaluate and judge the value of relevant doctrinal and policy issues in relation to law and a range of legal topics. You will gain confidence in undertaking independent research and identifying, retrieving, investigating and managing information from a range of academic sources, both paper and electronic, to produce up-to-date and relevant information. Finally, you will be able to use and apply correct and accurate legal terminology orally in moots and presentations and in writing. This module aims to examine the general principles underlying the legal protection given to consumers under both the civil and the criminal law and the many ways those principles are applied. You will also gain knowledge of areas of central importance in consumer protection and will be encouraged to explore the relevant social and business context within which the law operates. A key purpose of the module is training in writing, presentation and research. This module aims to provide a comprehensive introduction to a range of legal theorists and jurisprudential schools of thought ranging from the work of the ancient Greeks through to postmodernism. You will be provided with an overview of the central thinking of various philosophers and will examine both the historical and cultural context within which these theories were developed and their relevance to the legal issues of our own time. Throughout the module, you will consider law’s relationship to questions of power, violence, ethics and justice. This module aims to provide an opportunity to become familiar with the dispute resolution role of the lawyer and to acquire the skills relevant to that role. It will provide an opportunity for you to engage with key techniques, strategies, theories, values and cultural issues relating to the negotiation process, and will provide an understanding of the place of Alternative Dispute Resolution within the legal system. You will also have the opportunity to critically evaluate aspects of the theoretical basis for mediation as a means of dispute resolution and the place of mediation with the legal system. This module is limited to 16 students selected by the programme team. This module aims to provide you with a sound knowledge and understanding of the law governing companies and other business organisations in the United Kingdom. Comparisons are drawn between the laws underpinning the various business organisations/relationships and their different purposes are evaluated. A framework of basic principles of company law is provided, with some detail of how these principles are worked out in practice. The module will further aim to perfect legal reasoning and logic, legal synthesis, analysis and problem solving skills; to enhance research skills and the use of primary source material and to enable you to bring this together with previously learned legal principles. This module aims to provide you with the knowledge and understanding of the principles of Child and Family Law in order to enable you to extend your ability to evaluate and analyse the development of both the legal and policy framework regulating child and adult relationships. The module will explore the tensions arising from the use of state intervention in the sphere of the family with regard to issues of privacy, autonomy and welfare. Having taken this module, you will have not only an appreciation of key areas of law and procedure affecting children and adults but also be sensitive to the complexities of the wider social issues raised. This module will provide the knowledge and understanding of employment law and aims to deepens your appreciation of how legal principles encountered in other law modules can be applied to these areas. A critical appreciation of employment law will be encouraged and you will be enabled to place the subject in the context of both your working and non-working lives. Upon successful completion of this module, you will have an understanding of the role of law in regulating the employment relationship and stopping discrimination. This module aims to examine the relationship between medical law and ethics and the role of the law in defining the doctor/patient relationship. You will explore consent to treatment, consent issues relating to incompetent adults as well as minors and medical treatment. Clinical negligence will be explored as well as selected issues relating to beginning of life such as abortion, surrogacy and end of life issues such as euthanasia and assisted suicide. The module will also introduce mental health law and the law regulating medical research. The module will give an opportunity for an in-depth study of a selected area of medical law. This module aims to engage you in an active investigation of the practical rules and abstract principles underlying the operation of the Law of Evidence in criminal and civil trials. The module will enable you to subject the law of criminal and civil evidence to critical examination and will thus contribute to the shaping of your own value system. It builds on your knowledge of the substantive law by placing it in the context of trial practice. A key purpose of the module is training in advanced level writing, argument, analysis and legal research. This module aims to develop your employability skills by achieving the set of agreed learning outcomes in the Three Way Negotiated Learning Agreement and other skills learned in placement. This practical experience module provides the means to link academic work with the 'real world' situation in order to conceptualise the meaning of theory in the wider world context. This module facilitates the embedding of transferable and graduate skills necessary for future career paths and employment. It is envisaged you will reflect upon areas of knowledge relevant to the placement learning experience and develop personal knowledge through a review of your learning. The placement learning experience provides the opportunity to enhance your skills of self-expression, communication, self-reliance and co-operation. It operates as an extra placement year and requires permission from the Programme Leader before registration. This module aims to provide an overview of the international human rights law framework and assess its efficacy in dealing with violations. You will examine the regional and international systems, including the Inter-American, European, African and Asian human rights systems, and the United Nations treaty-based and Charter-based mechanisms. You will be encouraged to situate human rights law globally, to reflect on what themes ought to be prioritised by the United Nations, and to consider the best means of effectively implementing the range of international human rights law standards. How is the LLB Law taught? 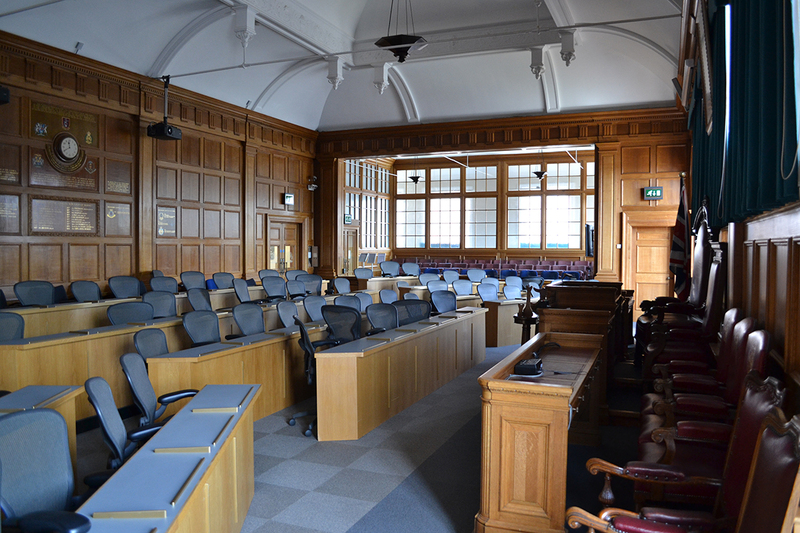 You will develop your knowledge of all aspects of law at lectures and seminars, and supplement this with your own independent study. Lectures are often interactive, involving exercises and informal assessment by other students, and by you of your own work. Seminars are small group discussions which you will need to prepare for in advance. Here you will learn to analyse legal principles and apply them to practical situations, assess competing arguments and choose between alternative approaches. Group work and moots (pretend courts) will hone your verbal arguing and presentation skills. The course will also teach you to do legal research, and to review information from academic sources, journals and electronic resources. As you progress, you will have the opportunity to do your own research into an aspect of law which the course has not covered. You can opt to extend the course by a year, and spend a year doing a legal work placement, which we will help you to find. The course also includes careers events and talks by guest speakers from the legal profession. You will be assessed through exams, moots (pretend courts), presentations and coursework. We will be looking at your knowledge and analysis of legal principles and different areas of law, and also your ability to do effective research, your understanding, analysis and use of source materials, your ability to assess competing legal arguments, and your capacity to recognise potential conclusions for situations and give reasons for them. You will be expected to write clearly, succinctly and accurately and use accurate legal terminology. We will also be looking at your verbal arguing skills and your ability to work in a team for moots and presentations. You will be taught through a combination of Lectures, Seminars and Workshops. Lectures allow you to gain and develop knowledge in specific subjects. You can discuss and develop your understanding of topics covered in lectures in smaller seminar groups usually made up of 30 students. Seminars will provide you with an opportunity to apply and discuss the material covered in the lectures. Workshops focus on reinforcing the development of skills, developing arguments on key points and exam preparation. In addition, you can arrange one to one sessions with your module and seminar leader. You will also have access to and use resources to support your learning including: module handbooks containing lecture outlines and seminar activities. You will also have access to power point slides and/or other materials relevant to the module on the University online learning site throughout your course. The course will provide you with opportunities to test your knowledge and understanding informally through ‘formative’ assessment. This will be completed before your formal ‘summative’ assessment which will count towards your final marks. Each module normally contains at least one piece of formative assessment from which you will receive feedback from your tutor. Formative assessments are developmental and any grade you receive does not count towards your final marks. All modules have formal ‘summative’ assessment. Assessment methods could include: written examinations, a range of coursework including essays, reports, portfolios, final year project, and practical assessments, including moots or oral presentations. The grades from the summative assessments count towards your module mark. Assessments are reviewed annually and may be updated or changed based on student feedback, to suit content or suggestions received from our external examiners. Please apply via UCAS using this course’s UCAS code M100. How can the LLB Law support your career? As a Qualifying Law Degree, the LLB (Honours) Law satisfies the requirements set by the Solicitors Regulation Authority and the Bar Standards Board for the academic stage of training. Upon successful completion of the LLB, you may pursue the second (or ‘vocational’) stage of professional training via the Legal Practice Course (solicitors) or the Bar Professional Training Course (barristers). Dr Staunton is a lecturer in Law with research interests in the governance of medical research, particularly new and emerging technologies. She received a BCL and a LLM (Public Law) from the National University of Ireland, Galway after which she worked as a legal researcher at the Law Reform Commission of Ireland. She returned to NUI Galway to complete her PhD for which she was awarded an Irish Research Council scholarship (2010-2013). During this time she was a visiting researcher at the Hastings Centre in New York. Prior to joining Middlesex, she completed her post-doctoral research at Stellenbosch University in South Africa where she also co-ordinated the Advancing Research Ethics in Southern Africa program. Dr Keane's current teaching is in International Human Rights Law (LLB, BA Law and LLM); Child and Family Law (LLB and BA Law); and Minority Rights and Indigenous Peoples in International Law (LLM). Dr Keane's research is in international human rights law, with a particular focus on the International Convention on the Elimination of All Forms of Racial Discrimination (ICERD). Professor Castellino has authored and edited eight books in international law and human rights law, and a range of journal articles and other outputs. He regularly engages with multilateral organizations and with Law Societies and NGOs in Europe, Asia, the Middle East and Latin America, and is on the Leadership Council of the United Nations Sustainable Development Solutions Network. After achieving First Class Honours in her LLB degree at University College London, Dr Pascoe qualified as a solicitor and undertook work in a wide range of areas including conveyancing, matrimonial work, probate and litigation; she still maintains her name on the roll of solicitors. Dr Pascoe subsequently completed a PhD at King's College London and has a range of publications in property and conveyancing law.